Asp.Net, C#.Net, Angularjs, Entity Framework, JQuery, MVC, Interview Question: What is View Model in MVC. Now, its fact but it is maintain by Separation of Concern (SOC). We use it based on when it needs to us. E.g. 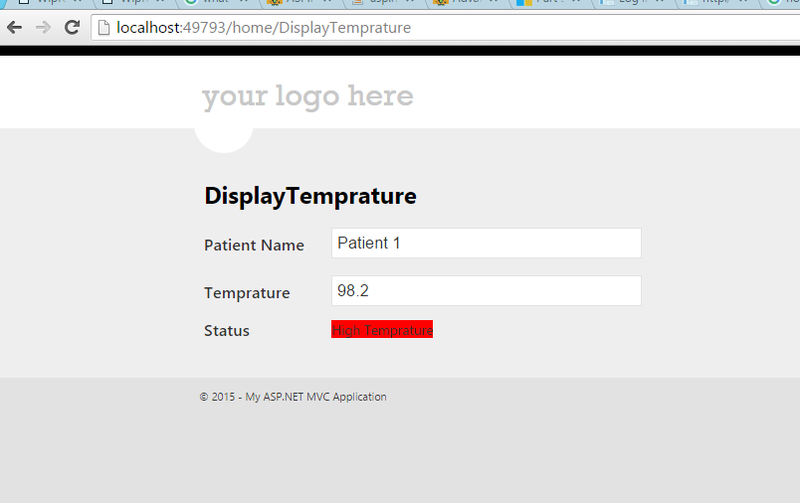 Presentation Login of Model View suppose we are maintaining the Patient temperature and for it we have fields in DB as customer name and temperature. But in UI we want to maintain the Colour code based on temperature. 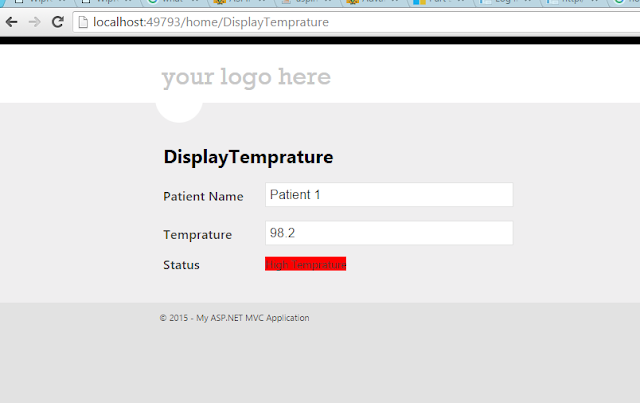 We create new property in Model as temperature status and show the colour code in View. Presentation Logic: Which is handling in UI or presentation layer like above example. 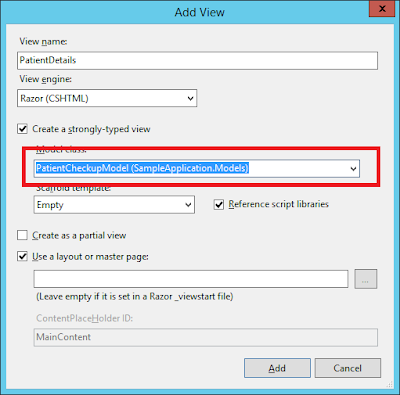 Aggregation Logic : Suppose you have two different Model but you want to show both of the model in one View will use aggregation Logic. See Example Below. Business Logic: Which is part of Model. Data Transformation Logic: Suppose you have date of birth and you want to show the age of person on that case you can use data transformation logic. Structuring Model : Suppose you have three property in Model like ID, EmplyeeID and Emplyee name but you want to display EmplyeeName only on that can we use View Model.